After Easter weekend off we were at Bicton today with a good gang. Yes I Can was in the Open Novice and I was very pleased and happy with his test, his score of 33 was a bit average. He jumped a lovely clear show jumping and popped around the cross country very happily, so had another beneficial day. 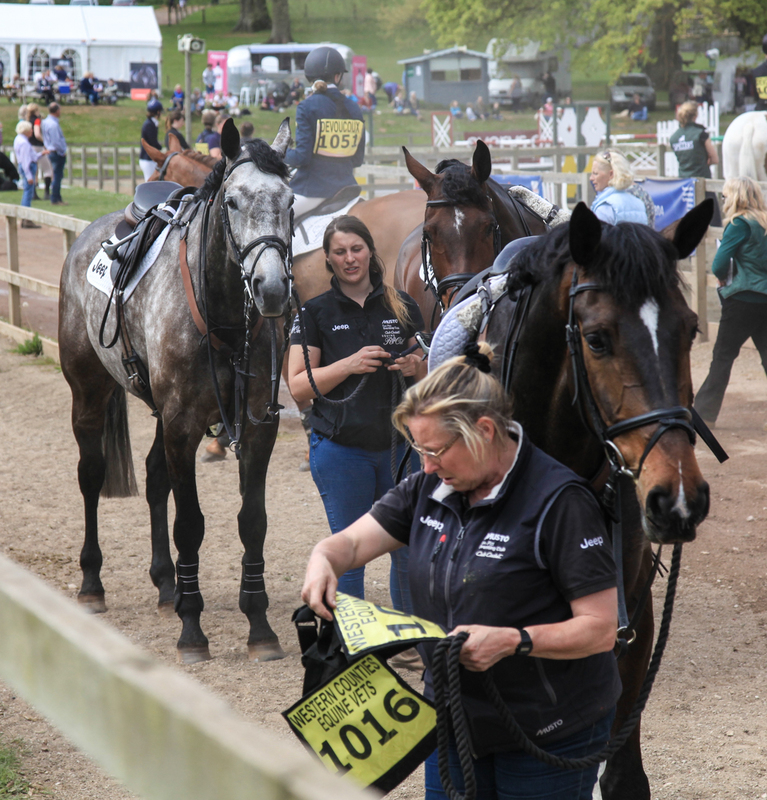 The ground at Bicton is obviously bone dry but Helen West and her team had done as good a job as they could; aggravating the ground and making it very level and putting out landings, so the cross country was as good as it could have been, but it was still not soft. The dressage ground was the firmest but at least it was very level, and of course we always show jump on the all weather which is ideal. 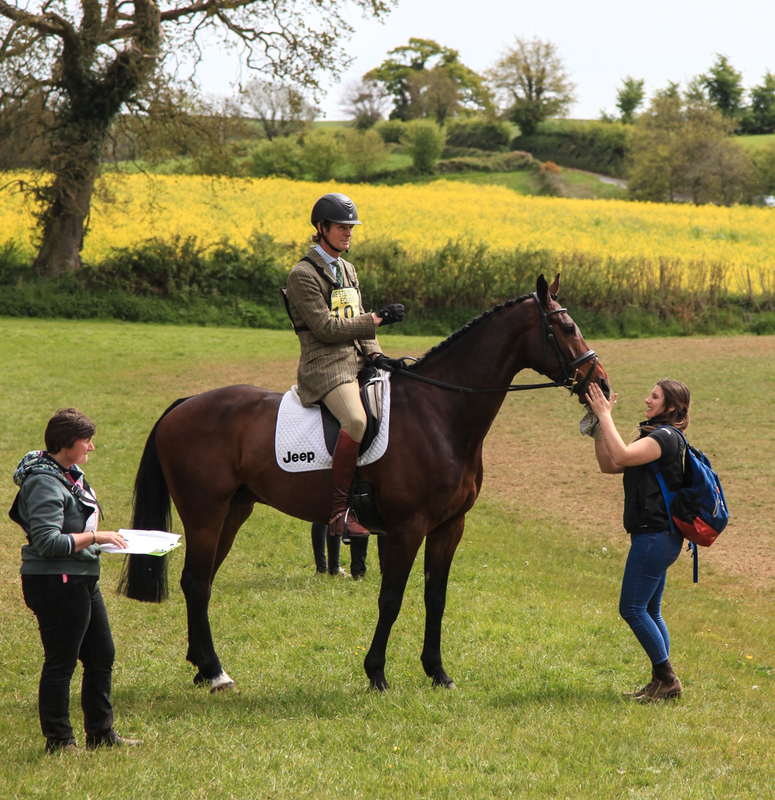 In the Intermediates; FC Torino was having his first Intermediate and he did a very calm pleasing test for 27. He rolled an unlucky pole in the show jumping having a little spook at the zebra fence (that was the fence on the course that came down the whole time). He then gave me a great feel cross country making it feel easy, but I took him very leisurely. Poor old Volcan very bizarrely got stung before the dressage and was in a real state so I had to withdraw him. Little Fire was very pleased to be out as usual. He actually did quite a nice test to score 33 and then did a lovely double clear making everything feel very easy. He was quite on his toes again today and rather too pleased to be out, so I am hoping to be able to run him again at Withington next weekend if the ground is ok.
Oratorio had a good run in the Open Intermediate, he did a good solid test of 27 which was better than at Belton! He then also had the zebra fence down in the show jumping having a little spook. He popped very happily around the cross country going very steadily. Andrew had Andarilho there in the Novice and had a very happy day. He did a good solid test to score 27, jumped a lovely clear show jumping and flew around the cross country for 5 time faults to finish 4th. Sadly Carol was not there to join in the celebrations, but that was our best result of the day. I am back there on Sunday with the Novices and I am imagining they will all be going equally quietly round.